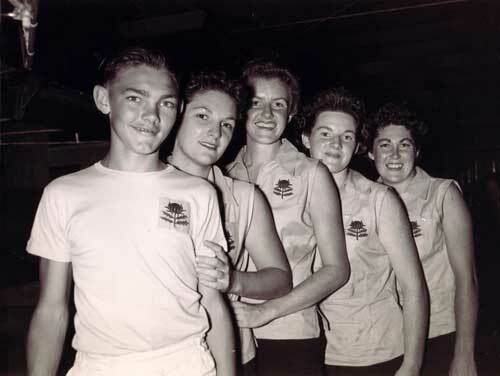 In the eights race, Victoria led all the way until a 1/4 mile to go when the Western Australia put on an almighty burst to row through the Victorians and win comfortably. It was great racing by the Western Australian crew. In the sculling race, Wood led from the start and won comfortably. The race was amongst the minor placed crews who had a great battle. Hubbard led Green for most of the race but Green rowed through to take second place. The Tasmanian sculler Foster spent some time at Leichhardt Rowing Club (NSW) training with Peter Evatt during the summer bfore this race. The coxed pair championship was a race between the specialist Victorian crew and the reserves from the NSW crew. Rodgers in the NSW crew had won this event in previous year. The Victorian led from the start and prevailed by a comfortable margin. Margin: Dead heat followed by 1 1/2 lengths in the re-row. Two sensational races comprised the 1955 event. In the first race there was a dead heat between NSW and Victoria which was not well received by the crowd. NSW started well but were pegged back by Victoria. The crews were never separated by more than half a length throughout the race. Then in the last 100 yards, there was a great struggle resulting in a dead heat. 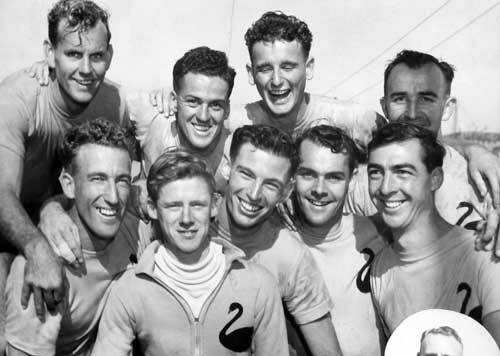 The Queensland crew was not of the same standard of the other two crews. 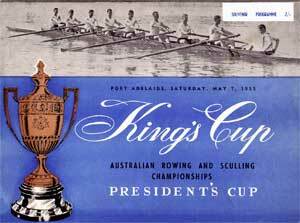 The NSW crew requested a re-row as they regarded themselves as fitter than the Victorians and one of the Victorians had collapsed after the first race. The crews met again for a re row the next day. In the re row, Victoria sprung a gate shortly after the start and was thereafter never in the race.